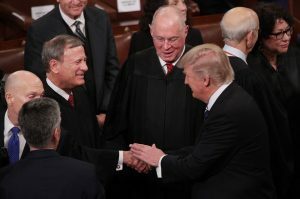 Over the Thanksgiving weekend, President Trump and Chief Justice Roberts engaged in a brief war of words over politicizing the judiciary. Like the Chief Justice, I find Trump’s attacks on the judiciary distressing, and I share the Chief’s apparent worry that political divisions may corrode judicial authority. But statements to the press, like the one Roberts gave, may not be enough to counteract these risks. The underlying problem seems to me to be structural. In the current polarized environment, whether or not any given judicial decision ispolitical (in the sense of being legally unjustified), it is likely to be perceived as such. The country is deeply divided over political issues and these divisions have produced conflicting partisan constitutional visions. What is more, in any given dispute, a partisan preference for one outcome over another tends to swamp any commitment to more general procedural or structural values. As I argue in this forthcoming essay (and describe in this earlier post), courts and commentators alike should resist these destructive tendencies by pursuing an ethic I call “symmetric constitutionalism.” When possible, judges should favor understandings that protect the interests of people on different sides of the ideological spectrum. More specifically, when it comes to structural and procedural questions, courts should favor articulating and reinforcing basic rules whose partisan valence will vary across different cases—and should take care to ensure that the principles they adopt in one context are equally acceptable in others with differing partisan valence. Precedent is another area where the current political moment may require more conscious effort to reinforce an apolitical, institutional understanding of judicial authority. My friend Randy Kozel has developed just such a theory in a timely recent book, which I have reviewed here. 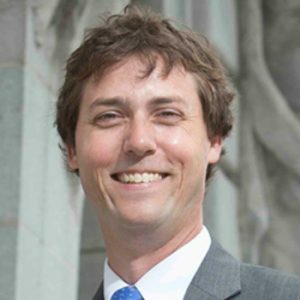 Kozel argues that, given deep and pervasive disagreement over constitutional interpretation, judges and justices should focus on non-merits considerations, such as workability, factual accuracy, and reliance, in deciding whether to overrule precedent. Although I have some doubts (expressed in the review) about this proposal’s feasibility, it at least points us in the right direction: towards an institutional rather than personal conception of judicial power. Judicial appointments are a paradoxical feature of the American constitutional order. We have at once a highly political appointment process and a strong judicial ethos of being above politics. In a closely divided polity riven by intense partisan disagreement, preserving this peculiar equilibrium may require everyone to moderate their expectations about what political goals the judiciary can advance.